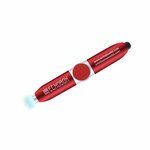 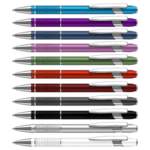 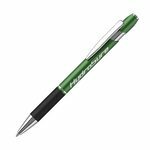 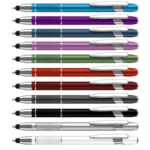 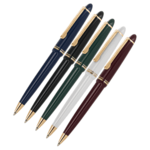 Promotional executive pens are aimed at the higher end of the market and for use by business executives and people looking for a little more from a pen than a typical lower cost giveaway. 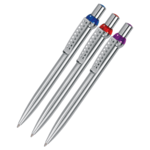 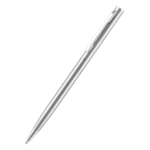 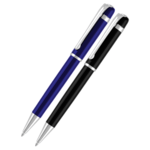 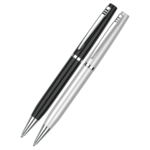 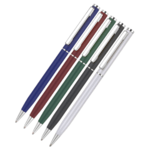 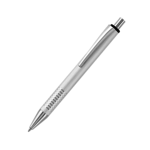 We can supply promotional executive pens as single items or as part of sets and with metal or plastic bodies. 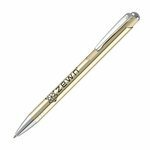 For branding the options can include lazer engraving or screen or digital printing to give a very colourful look to your logo and imprint. 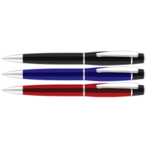 We have supply many thousands of promotional executive pens and pen sets so if you need samples of what we have done before please let us know. 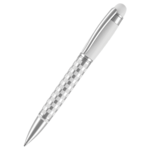 Does an executive pen have to be plastic or metal? 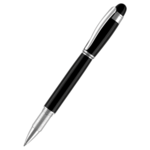 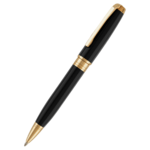 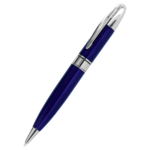 We supply both metal and plastic and even wooden executive pens. The materials are typically of a higher quality and weight than would be used for traditional giveaway pen. 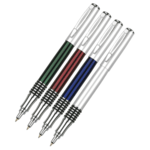 Do you supply executive pen sets? 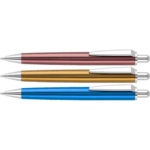 Yes, some of our pens and pencils are available in executive pen sets and these can be ideal when targeting senior personnel in an organisation or business with your marketing campaign. 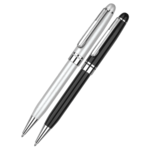 Executive pen sets can also take an imprint on their barrels and sometimes the boxes the pen set is supplied in. 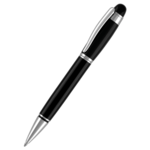 What is an executive pen? 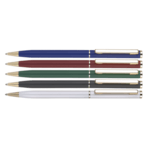 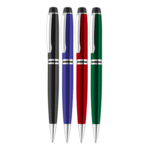 Executive pens are a type of promotional pen with a higher unit price and quality and one more to be found used by office managers and senior personnel within a company. 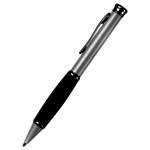 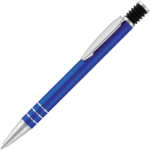 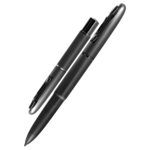 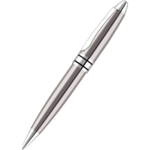 An executive pen is more than a throwaway item and will generally have an ink refill option.